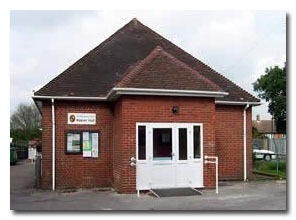 Horndean Parish Council can offer rooms suitable for receptions, parties, events, social functions and meetings at its two Halls. Both halls offer kitchen facilities, parking and have wheelchair access and disabled toilet facilities. Napier Hall is situated on the Portsmouth Road and has two rooms. The main hall is approximately 18 x 7 metres with a maximum capacity of 90 persons. The smaller rear hall is suitable for meetings etc. and has as a capacity of 30 persons. There is a well-equipped kitchen and parking at the front for several cars. Napier Hall has undergone improvement works to bring the hall into line with the requirements of the Disability Discrimination Act. 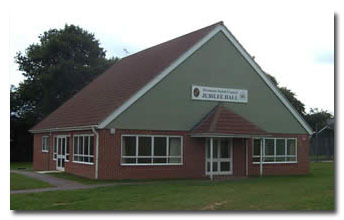 Jubilee Hall is sited at the junction of Crouch Lane and Catherington Lane. Set in an area of Open Space with plenty of parking space this hall is modern with easy access and good facilities and a kitchen equipped with appliances. The hall is approximately 12.5 x 8 metres with a maximum capacity of 100 people (90 if seated). Sound/vision equipment, projector screen also available for hire. The hall has a disabled toilet facility and there are disabled parking available.